Urballoon was invented by Carlos J. Gómez de Llarena, a Venezuelan media architect and interaction designer working at the intersection of physical and digital design. His projects blend technology and built environments, creating experiences that shape social interactions as well as our perceptions of spaces. He has been awarded a Golden Nica by Ars Electronica, an artist residency at Eyebeam and a US Patent among other achievements. 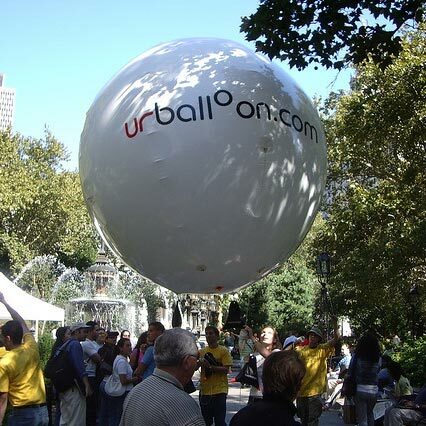 The Urballoon has been previously shown in New York at Eyebeam (2003, 2007), in City Hall Park as part of the Spectropolis: mobile media, art & the city festival (2004) and in Tompkins Square Park as part of the Conflux festival of urban psychogeography (2009). This project seeks to present our online communication back onto the street as a reimagined urban experience, stressing the role that the city has as an interface for daily life. Telecommunications and technology have brought innovations to our online experiences with business, commerce, culture and socializing—but few of them address the physical experience of urban spaces. 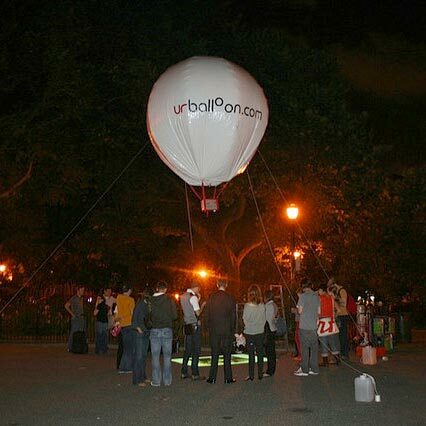 The Urballoon introduces a temporary intervention that connects the infrastructures of our streets, plazas or parks with the digital dialogues occurring around them. In June 23 2009, the Urballoon was granted patent 7,549,753 "System and method for selectively displaying data" by the United States Patent and Trademark Office. View photos and videos of previous Urballoon events.